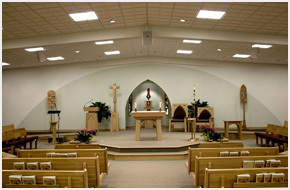 Kozar Technologies can design and install your quality audio system for background/foreground music, telecom, paging and public address for your offices, hotels, sports arenas, entertainment complexes, restaurants, bars, department stores and houses of worship. All of these places have different audio system requirements from clear music and voice at a house of worship to the feeling of being at a rock concert at a night club. With a huge variety of brand choices, we can custom design an audio distribution system customized to fit your space, your needs, and even your budget. A background music system is a great way to enhance the overall mood of your environment and one of the easiest ways to influence your customer’s and client’s perception of your business. *Contact us to learn if your business is within our areas of accessible service.